I love this orange.. It brings out the tan I've manages to just grasp over those hotter days and is versatile in a way you can make it a very vivid and bright for a night out or dab it down for a subtle and peachy colour during the day. The pigmentation is spot on: one swipe over my lips and it's full coverage. It is also very smooth and creamy, so if I forget to apply lip balm prior to application - which you know me, I'd forget my head if it wasn't attached - it doesn't dry my lips, basically just like the coral shade I reviewed. It has a nice sweet scent, a bit like a lip balm, but not too overwhelming. Of course, I was impressed by the lasting power: it gives a nice stain to the lips making the colour still visible after many hours of wear - even after a meal or a drink - so there is not need to constantly reapply it. 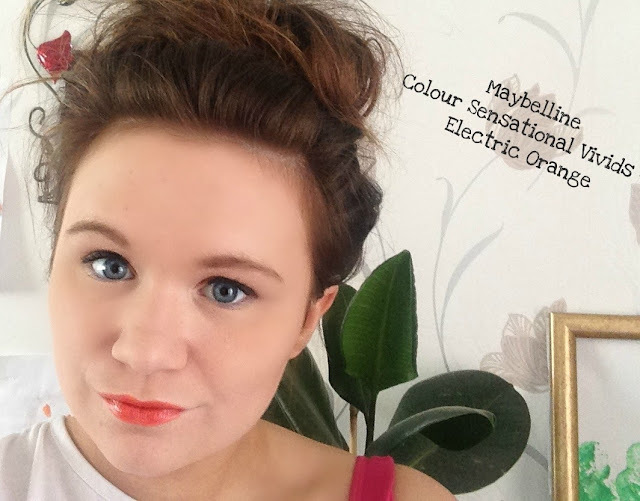 I really recommend this lippy if you are looking for a fun bright and different lip colour for the summer- or what's left of it! It's unlike any other lip colour I've ever seen... I've finally got my tango lips!